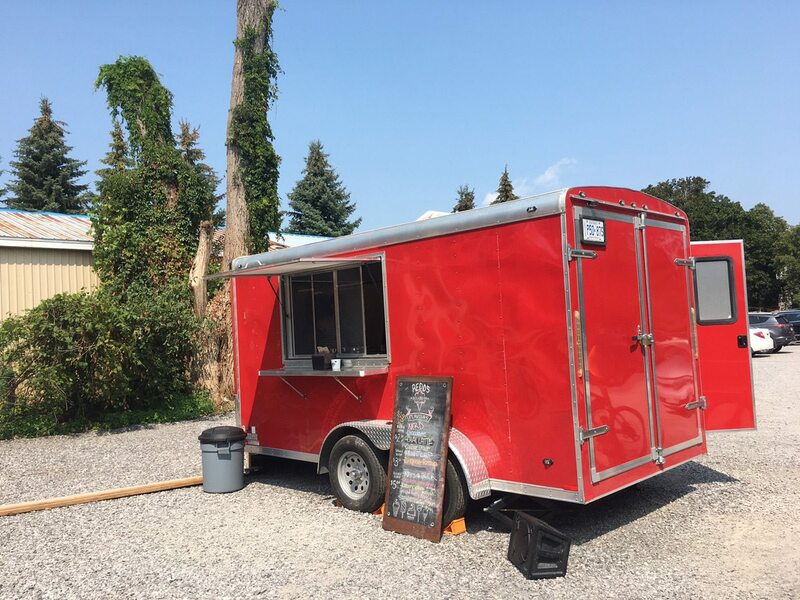 A mysterious food trailer suddenly showed up a few weeks ago in the back parking lot of Quitters Coffee in Stittsville. Shiny bright and cherry-red, you just knew it was meant to house good things. And it does! 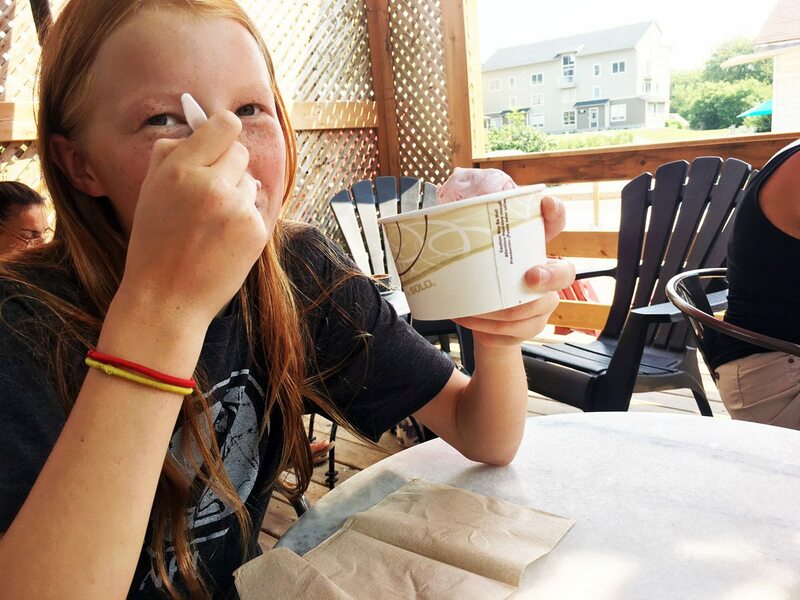 Two weeks ago, Redd’s Ice Cream opened its serving window, scooping out creamy, rich ice cream made just down the street at Carp Custom Creamery. The parking lot location isn’t too scenic, but there’s a comfy patio behind Quitters, a few picnic tables, and a kid’s park nearby. Very generous portions go for $2.50 (kiddie), $3.50 (one scoop — which is really as big as two), and $5 (double scoop — which is close to a three-scooper). Cash-only at the truck, but you can pay in Quitters if you’ve only got a card. 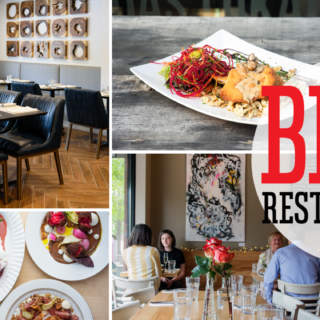 City Bites Hot Tip: Vegan-friendly! 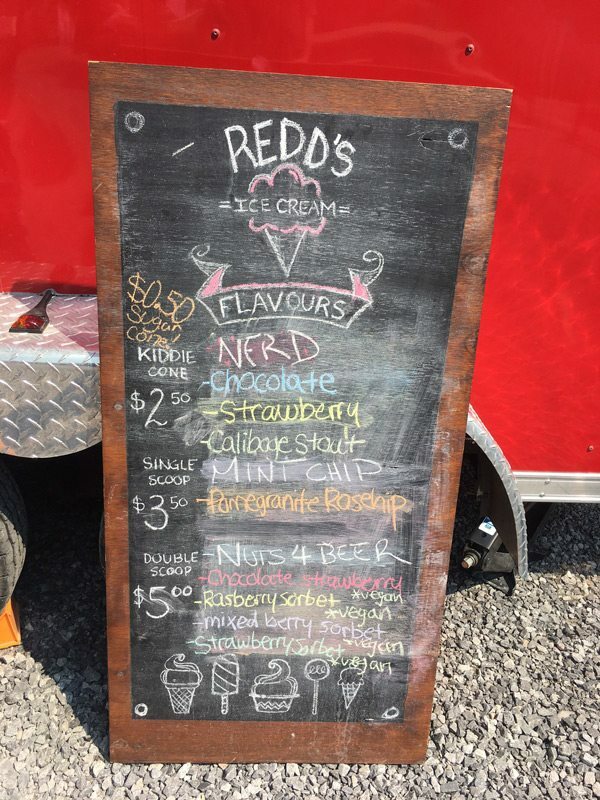 Sure, most ice cream shops throw in a vegan option these days, but Quitters takes it up a notch with three flavours on the board most days. On our last visit, there were four — chocolate strawberry, raspberry sorbet, mixed berry sorbet, and strawberry sorbet.